The Mannered Mutt of Santa Clarita is available to residents and dog owners alike for their entire dog and puppy-training needs; Alec Torres of Santa Clarita founded this rescue dog training company to create better relational leadership between a dog and it’s owner. Torres is a Rescue Dog and Puppy training expert located right here in the Santa Clarita Valley. Torres has been living and working in Santa Clarita for 20 years. She has always had a passion for rescued dogs. Her love and passion for rescued animals is what allows her to complete her best work for her clients. Alec and The Mannered Mutt are highly recommended by residents and pets alike of the Santa Clarita Valley. The Mannered Mutt was created with effective techniques along with a belief that dogs are trainable at any age and at any degree of difficulty they may carry. Founder Alec Torres is looked at as the Santa Clarita Valley’s number one rescue dog preferred in home trainer. Alec from the Mannered Mutt believes that, “effective communication between a dog and its human is essential towards creating a relationship with mutual respect and understanding.” Her compassion is what leads her into tackling issues with dogs that other trainers might have overlooked. Torres’s dog and puppy training methods at the Mannered Mutt are aimed to be calm, consistent, and time tested. It is important to her that the pet owner remains in a leadership position with their dogs. Along with dog training, group and private sessions, dog owners can also learn to train their dog to be a therapy dog. To learn more about this training service offered by The Mannered Mutt you can visit them on their website. 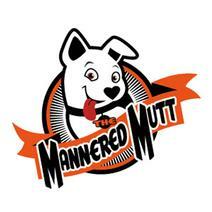 To learn more about The Mannered Mutt, click here.